Our clients are the SMEs and mid-market businesses that drive the New Zealand economy. We appreciate our clients vital role and specific business issues and strive to represent their views with key government and industry bodies. We offer the personal approach of a local firm combined with the skills and expertise of a large international firm. Our partner-led delivery means we intimately understand your business, your issues and plans so that we can meet – if not exceed – your expectations. Gilmore Taylor Associates Ltd have a strong team of well-known, experienced and friendly chartered accountants, accounting and administration staff. The team’s combined knowledge and diversity give us the strength and ability to provide comprehensive business advisory, accounting and payroll services to our clients. Yovich Hayward Pevats Johnston Ltd has been operating as Chartered Accountants in Whangarei and Northland since 1968. They have earned an enviable reputation for consistently achieving results that makes them one of Northland’s premier accounting firms today. Their success stems from a combination of astute business skills, friendly, motivated, educated staff, and a genuine commitment to delivering superior customer service. Our mission is to give you confidence to grow your business. We offer a range of accounting services for every budget and any size organisation. We will work closely with you to ensure you get the best value for your money while receiving expert advice from our knowledgeable staff. Our services include: Taxation advice; Prompt preparation of interim and annual financial statements – and more. Accounting Now recommends cloud-based accounting and payroll solutions that provide up-to-the-minute information to decision makers and accountants. We offer guaranteed fixed fees and guaranteed turnaround times … so no nasty delays or surprises. We are proud winners of the Xero Innovation Partner of the Year Award and provide our clients with free phone and email assistance with their payroll queries. Based in Hamilton but with clients scattered all over New Zealand, we are passionate about helping our clients grow. With monthly payment plans and no charge for ongoing support, you can concentrate on your business stress-free. We even provide book-keeping remotely and on-site. Being a member of Accountants and Tax Agents Institute of New Zealand and a registered tax agent with IRD, you know you can rely on us for the right advice. Call us now for a free no obligation quote. If you run a business and want to leverage the new era of cloud computing to save you money, improve your efficiency and flexibility then talk to Kloud. We work with you to pick the best cloud services for your situation and write apps to free you from your existing IT jungle. By bundling cloud services together, Kloud gives you a complete suite of tools. As a member of Accountants & Tax Agents Institute of New Zealand (ATAINZ) – a recognised professional institution – Our Staff are required to undergo extensive initial and continuous training. This ensures that the firms’ knowledge base is kept up to date and that your accounts are prepared to the highest standard. The company is also a registered tax agent with the Inland Revenue, with a proven record and a good relationship with them and meeting 100% filing percentage every year. Put simply, Absolute Accounting Solutions Ltd provide modern accounting solutions for small to medium sized businesses. For us, working directly with our clients and contributing to and sharing their success is undoubtedly the most rewarding aspect of our service. We achieve results by using specialist and unique accounting packages and software, allowing us to focus on providing you we exceptional customer service. We know how important it is to get wages right because the consequences of getting it wrong can be devastating to a business. With payday filing becoming compulsory from 1 April 2019 we needed a software supplier that would provide up to date and easy to use payroll software. We believe that Crystal Payroll is that software. If you want someone to support you with Accounting, Bookkeeping Payroll and Business Development, contact us now. We are payroll specialists based in the Bay of Plenty. We concentrate only on payroll keeping your payroll legislatively compliant and also keeping your employees happy. Call us today to find a payroll solution to suit your business needs. First Class Accounts are a nationwide team of business experts dedicated to increasing your financial return from your business. We can help you with all the basics (everything tax, doing the numbers, planning, reports and software) plus we’ll provide a range of options to maximise the returns you receive from your business. Contact one of our team at a location near you. Infinite Admin Ltd provides administration services for small to medium businesses in the Rotorua region and its surrounding areas. We allow you to pass on your compliance worries while providing added value from fresh and external ideas. Our services are flexible and designed to meet individual needs with a fresh approach to daily office operations and support in any matter you may require. We are a small, friendly, well respected chartered accountancy and business advisory firm located in Gisborne. We are focused on providing clients with solutions and information to enable strategic business decisions through the implementation of effective accounting systems, procedures and practice. Built on a strong belief in client service, client-partner direct contact, rapid turnaround of work and management accounting based on monitoring against set targets. We are small enough to care personally, yet large enough to provide a comparable range of services. An accountancy firm which is experienced, personal, professional, up-front and serious about helping you achieve your goals. James Burn & Associates is a modern accounting business providing excellent service to a wide range of businesses. Our main objectives are to: Complete work at the deadline you set; Ensure you get no surprises with accounting fees by agreeing a fixed fee; Be accessible at a time and place most convenient to you: Provide business advice in plain English and; Provide business solutions and plans to maximise opportunities for you. ACURA PowerHouse is the energetic, proactive Chartered Accountancy firm for small to medium sized businesses in the trades, manufacturing, service and hospitality industries. Our team are here to help all businesses whether you are a start-up or a seasoned business. At ACURA you are not just another number our team is your team. At FSSL, we treat you with the personal attention you deserve. We provide quality service and expertise in a wide range of business advisory services including accounting, payroll, tax and management services. We utilise all the advantages of operating in the cloud to be able to provide you more time to do what you enjoy. We are experts in all things Xero and can assist with utilising specialised industry Add-Ons to suit your business. We are very good at finding and delivering just the right “fit” to help achieve your business goals. Contact us today to discuss your requirements. McGreevy & Associates, big firm ability, small firm personality. We are a family owned business who have worked with Hawkes Bay clients since 1995, and pride ourselves on helping local businesses to succeed. We provide the tools and personalised service to help you make smart business choices. We offer a range of Accounting services including Business, Company, Farm and Rental Accounting – Monthly Reporting – Tax Returns – GST & PAYE. Call us today, initial consultation is free! In addition to being a specialist provider of their cloud and mobile-based Time & Attendance system, TimeHub is also able to assist businesses across NZ with demonstrations, sales, implementation and support of Crystal Payroll. The team behind TimeHub are the former owners of Comacc Payroll and as such have over 25 years in the payroll industry. If you are looking for a Full-Service provider who can assist you with every aspect of your payroll software needs then contact Steve Nathan and the team at TimeHub. Youthful, with expert contacts and international support, Duncan Dovico applies a team approach to client work providing big city service at affordable local rates. Our partners and staff are available and accessible to clients and employ a 24 hour response commitment. Entrepreneurial, innovative and technologically cutting edge, we are expansive, up-beat and growth focused for our clients. After moving from the UK to New Plymouth, Andrew joined a large public accountancy firm working in business advisory. He qualified as a Chartered Accountant and completed a national tax programme. More CA Ltd was born in 2012 out of Andrew’s desire to directly assist clients to build their businesses and understand their tax issues. Accounts Online Ltd acts as your personal accounts trainer and makes sure you maximize the value of your business when you need to sell. And if you find the number of accounting software packages in the market a little daunting and just want some simple guidance, then Accounts Online will work with you and your accountant to make it happen. At Business Express we know how important it is to get you the information you need to run and manage your business when you need it. We can get your accounting system up to speed, get your accounts and taxes completed on time, and help you plan your route forward (not just looking at the past) – all for a reasonable fixed monthly fee. We provide a full range of payroll management services, from full processing through to payment down to advising and assisting set up of payroll for your self-management. Our payroll staff are fully trained on Crystal payroll software and use it for multiple clients’ payroll and HR requirements. As chartered accountants and advisors we are also proficient in payroll legislation and requirements to advise on these matters. And through engaging with Crystal and Xero we assist with managing and budgeting payroll costs, often the largest business outgoing. Orb360 Limited is a Chartered Accounting firm based in Auckland & Wellington. We provide business advisory services which helps our clients in managing different aspects of business. Our accountants ensure that our clients do receive personalized services tailored for their business. Our accountants have handled clients from different walks of life and vary from a one man band operation. Our clients are from a wide range of industries and they operate under different structures including individuals, companies, trusts, partnerships and limited liability partnerships. Feel free to reach us if you need any assistance. We’re never too busy to talk to you – after all, you’re the reason we’re here. Small Business Accounting (NZ) Ltd (SBA) has developed a monthly service designed to give clients on-going support and to keep them informed (progressively) of their business profitability. It allows SBA to monitor the business on a regular basis, and to give advice at a time that it is pertinent. Do you own or work in a small to medium sized business and don’t want the overhead of an “in-house” accountant? Are your accounts up to date? Do you need accounting assistance, someone to train staff, process records or bring your accounts to a higher standard? Are you starting a new business? We can help you with all of these. At ABA (Associated Business Advisors Limited) our motto is “adding value to your business.” We can assist with general accounting, audits, liquidations, resolving complex tax issues as well as trust formation and administration. We work hard so you don’t have to! Call us now for a FREE no-obligation appointment. Technology like broadband internet & Xero software, now means Accounting should be putting money in your back pocket and growing your business, it’s not just another costly expense. Call us today to simplify your accounting. AccountabilityNet truly understand business and the challenges of business ownership. Using the latest technology, we are committed to providing affordable business and taxation services to people who want to achieve their financial objectives faster. We are Small Business Accounting, Albany operating from B/210 Dairy Flat Highway, Albany Village. Xero certified Platinum Partner, we provide following services: Monthly & Annual Accounting, GST Returns and all Income Tax returns, Trust, Rental property, Self Employed Contractors, Payroll Support and filing PAYE Compliance with IRD, Company and LTC Formation, & Xero Software Set-up and Training. Feel free to book a 30 minute consultation. Taking your business to the cloud’ Balanced Beans Cloud bookkeeping using a unique and detailed approach.We can tailor your plan to have the latest apps and integration in your accounting package with partner discounts. We think outside the box. Business owners and individuals gain more freedom in their days leaving more time for working on their businesses. We are aware that different clients have different needs; therefore, we take a very personalised approach by investing time and resources understanding our clients and tailor any work that needs to be done for you. At Genesis Chartered Accountants, we share your aspirations and this is reflected in our mission statement “Your Growth is our Growth”. Our objective is to help solve problems and to keep moving you, your family and your business forward to your desired personal and financial goals. TOGETHER WE CAN MAKE THIS HAPPEN. Call today to discuss your business and tax needs with Genesis Chartered Accountants. Kingston Accountants Limited aim to meet your accounting needs. As Chartered Accountants we have a solid background in preparation of financial statements and tax returns, but also have experience in business systems and accounting software. The Houlbrooke Group is committed to providing services and delivering solutions which will save you time and give you the space to grow your vision. Our professional people (having implemented payroll and time recording solutions for a number of SME’s within many sectors) have the skills to provide you the practical support in payroll and finance you need. We are Chartered Accountants and work with clients manly in North Shore, West Auckland and Central Auckland. We work with small & medium sized firms with turnovers less than $2 million. Because we are small firm, we can provide more one on one services that some of the other firms cannot. We strive to work with our clients to help them grow and assist them through this process. We are a Xero certified partners and can assist customers with either moving to Xero and providing ongoing support and training. We offer fixed monthly pricing so there are no surprise large bills at the end of the year. We are accredited Chartered Accountants of Australia and New Zealand with over 18 years’ experience in accounting and tax services. 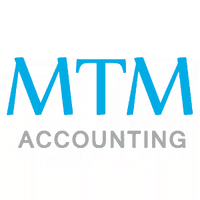 We provide financial accounting, taxation, audit, and management accounting services. Our directors have worked for New Zealand companies including the Big 4 and Commercial firms and can tailor our services to your needs. Why not contact us today? DFK Oswin Griffiths Carlton is a chartered accountancy firm, offering accounting and business services for a wide range of both local and international businesses. We believe that people are unique, your business is unique, and your situation is unique – which is why we deal with people as individuals, not just numbers, and offer tailored solutions specifically to suit your business. We work in partnership with your business, offering reliable, professional and on-time financial advice. This includes expertise regarding tax returns, auditing, budgeting, cashflow, buying/selling a business, monthly accounts, as well as sound, impartial business development advice for small to medium businesses. We are committed to creating long-term relationships with our clients, offering trusted guidance and support as you work towards achieving and maintaining your financial goals. Johnston Associates Chartered Accountants Limited (JACAL) is an independent organisation committed to providing you with the best quality professional service to meet all your accounting and business requirements. The practice is focussed on offering clients integrated business solutions to ensure they have a business structure that best suits their needs. McElroy Dutt & Thomson Chartered Accountants have been providing accounting, income tax, GST, compliance and business development assistance to clients since the firm started in 1945. Our aim is to be the one stop solution for your business. Whether your needs are simply accounting and tax solutions or if you are wanting to get more out of your business then come and see one of our accountants and discuss how we can help. Whether you own a business or wish to safeguard your family’s financial affairs, it’s comforting to be able to rely on people you enjoy working with and can trust. You can depend on us and our expertise. A medium-sized accountancy firm, we offer all the financial services you’d expect. Founded in 1948, we’ve grown to occupy a two-storey building in the heart of Ponsonby, Auckland. To better serve clients with global interests, we are a member of Kreston International a global network with associated firms in most countries, which enables us to assist you if you have a business overseas, are trading across borders or have investments in other countries. Accplus Limited is dedicated to helping businesses succeed by providing the edge in online accounting software. We are Xero accounting accredited and offer a total solution to your business needs including IT support, trademarks, web and graphic design and hosting. We will work alongside your tax advisor to provide you with systems to benefit your business and enable you to meet all your obligations. At MPG you choose your level of service – from Basic Compliance annual financial statements and income tax returns – to top level Business and Profit Builder, creating wealth with your business. We offer you: a simple and hassle free annual accounting process; the opportunity to create an exceptional business with access to our vast resources and business partners programs; and a comprehensive service guarantee. The choice is yours as we build a partnership to work together. As accounting specialists, at Craig Periam Ltd Chartered Accountants of Pukekohe, our business is helping you make your business successful. Our comprehensive approach includes business structuring, tax minimisation, business-information processing, management reporting, and strategic advice to enhance our underlying services of Financial Reporting and Income Tax Return preparation. We are committed to providing clients with superior, personal service. Gerard’s many years experience as a professional accountant provide a strong platform for him to get alongside you and your business. He enjoys working strategically to improve your return on your investments. This includes ensuring compliance, taxation consulting and accounting. 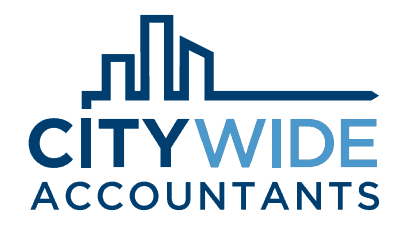 Citywide Accountants Ltd deliver a broad range of services that guarantee measurable results and a positive impact on your business. Some of our services include: Annual Accounts, GST Returns, Management of your Accounts, Cashflow Forecasting and Budgeting Advice, Xero Software, and Property Accounting. We are a multi-disciplinary firm committed to providing you the highest quality in tax and accounting solutions. As a member of the worlds’ largest accounting body CPA Australia, and the NZ Institute of Chartered Accountants, we offer specialised knowledge of the NZ tax system to help your business with tax compliance. We will deliver you quality, cost-effective and timely information and believe in building long term relationships with people who value our experience, enthusiasm and expertise. We exist to assist clients to leverage efficiency, through using Cloud Accounting technology and applications. WorkSmart was formed as a joint collaboration, drawing on Accounting skill, IT knowledge and business experience. As a result, we can provide specialist advice about Cloud Accounting and Add-On applications, to achieve the best possible outcome for our clients relevant to their business situation. We can assist you and your business to be successful by working alongside you and providing proactive and cost effective accounting services. Our support can be specially tailored for your needs. We love working with our clients and providing exceptional personal service, as well as sharing our years of practical hands-on experience. With us, you get the best of both worlds: We love old fashioned service and we won’t charge you for phone calls and printing and we are always happy to sit down for a chat. At the same time, we’re not afraid to adapt the latest technologies that make life easier for our clients: We’re Xero accountants and we have a custom-built Online Paperless Accountant that helps remove the headache from handing over all your financial information at the end of the financial year. Chan & Associates Ltd are a Chartered accountancy firm committed to providing their clients with a wide range of high-quality services in order to enhance business and increase profits. They are firmly committed to the principle that control leads to a more efficient organization. They believe the management of any organisation must strive to achieve and maintain as much control as possible over the whole of their organisation and take it upon themselves to help achieve this. Bookkeeping for businesses, partnerships and individuals. At North Canterbury Bookkeeping, we understand the stress of maintaining your financial records. So we will do everything we can to make the process fast and easy. Working directly with our clients to find the solution that fits them best, we can provide Bookkeeping and Taxation Assistance to businesses, trades and partnerships. We provide business support to growing businesses and also assist our clients to achieve by empowering them to set business or individual goals! Getting to know you and your business is important for us. We want to work with you to achieve your goals and the best for you and your business. We take care of your compliance requirements. We work with enterprises of all shapes and sizes – small to medium companies, sole traders, contractors, not for profit and member organisations, as well as managing trusts and partnerships. Lynley Pride specialises in Xero, client training and implementing smart office systems and processes. She has a wealth of knowledge with Xero add-ons and is savvy in bookkeeping areas such as GST, creditors and debtors, payroll and all office administration. Lynley will set you up with some great systems and take over the office tasks, because you have better things to do. Our experienced team provide personal and innovative business advisory services and have the skills and experience to work in a partnership with you to grow your business. We can help you with Business or Farm management, taxation, IT services and more. We are committed to providing timely, efficient, quality services with personnel who understand your business and your personal needs. Create a profitable and sustainable business with Business Headspace. From business coaching, to financial performance coaching, to customised Xero, WorkflowMax, MYOB and Reckon Accounts training, you’ll feel more in control of your business and life with practical advice and support from an experienced and trustworthy business coach.